Stripe is a leading payment gateway allowing users to accept payments online via credit card and other sources. 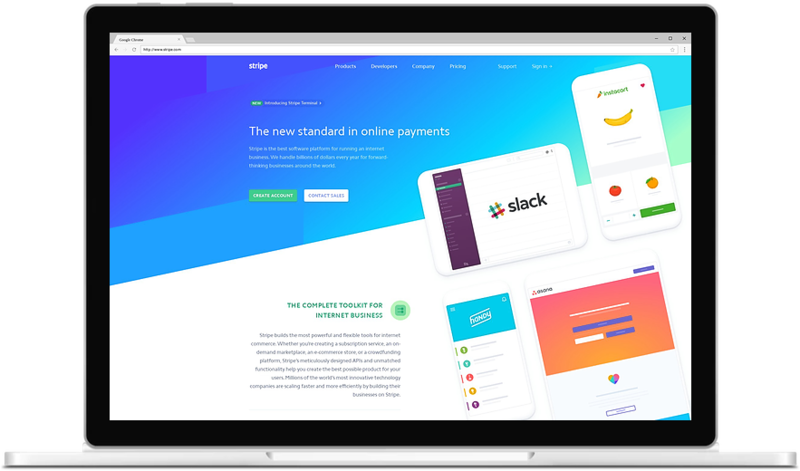 Built for developers, we regularly implement Stripe as the payment portal of choice for our custom software developments. Whether it be for an eCommerce website, business management portal, or integrating with Xero, Stripe can be implemented to help you transact online. Stripe is a payment gateway that provides a simply way to accept credit card payments. At DCODE GROUP, we've been a long time user of Stripe and can easily integrate it into your systems. Key advantages of Stripe are the ability to accept payments from within your system; the ability to be up and running immediately; and the security provisions Stripe provides. Find out how we can assist you. One of the best features of Stripe is its ability to handle on-going subscriptions. Accept sign-ups to subscription-based services; and Stripe will handle the storage of payment sources as well as the re-curring billing. With Stripe, we can process payments not just from Credit Cards; but also from WeChat, Alipay and other sources. This is a great way to extend your payment options for your customers. Think you can use Stripe as part of your business? Tell us more about your project - we're bursting with ideas that can help you and your business improve what you're doing with technology.